Currently with the Allyn Gallup Gallery in Sarasota, FL, Bill’s abstract and figurative images express something essential. A lifelong student of Eastern and Western metaphysical thought, Bill’s paintings and drawings combine Dadaist poetics with the expressiveness of the brush gesture to create compositions and figures which offer a paradox. The works are bold and assertive yet their openness invites viewers to imagine their own story line. Bill’s Zen method involves tracing the way nature “behaves” rather than just the way it “appears”. As the creative manifestation of the mind of a skilled jazz pianist as well as painter, Bill’s work combines the principles of music, color and drawing in exciting abstracts which have been described as “symphonies of space, form and color” and in fluid figure drawings which have been characterized as ” lightning bursts of energy condensed into a fine line”. Bill studied painting and drawing with renowned teachers Victor D’Amico at the Museum of Modern Art’s Institute of Modern Art, East Hampton, NY and leading American figurative painter Fletcher Martin at the Albany Institute of Art, in Albany, NY. His brightly colored spontaneous abstractions and expressive figure drawings may be seen widely in private and public collections in Denmark, Sweden, England and the US. Bill attended Cornell University, School of Fine Arts and Boston University, School of Liberal Arts and has a Bachelor’s Degree and a Master’s Degree in music from the New England Conservatory of Music as well. 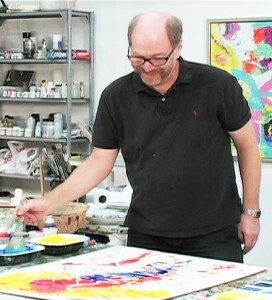 Before moving in 2001 to Sarasota, Florida where he has his studio, Bill worked and exhibited for twenty years in Europe primarily in Scandinavia. 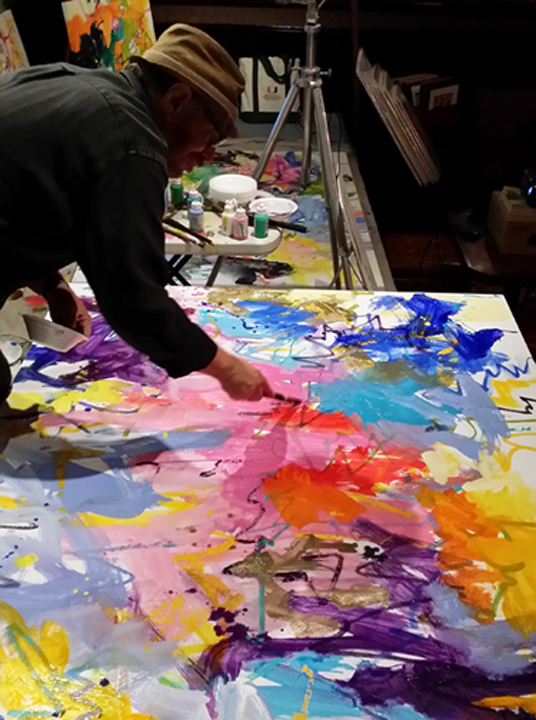 Accomplished as both artist and educator, Bill, along with exhibiting his work frequently, gives workshops and seminars around the country on abstract painting and figure drawing, combining Zen and Modernist techniques. Bill has made five popular DVD’s on these subjects and works with Savoir Faire, leading US importer of the finest European art materials, teaching and demonstrating his unique approach. His innovative and popular book, “Expressive Figure Drawing”, published by Watson-Guptill/Random House in 2010, is found in many museum bookstores and is available worldwide. In Florida, Bill has been on the faculty of the Ringling College – Longboat Key Center for the Arts for the last 11 years and now teaches at the Venice Art Center too.